As we age, our skin develops a variety of imperfections including wrinkles, fine lines, stretch marks, sagging and scarring. We use a special device made by Rejuvapen, a leader in micro-needling technology, that delivers a cluster of tiny needle pricks to the epidermis and top layer of the dermis. Because the needles used in this treatment are very fine and short (ranging from .5mm to 2.5mm – smaller than a human hair in diameter), the process is relatively painless. The result is new production of collagen and elastin, something your skin needs to heal itself naturally. Micro-needling treatments are often combined with Resurfacing Solutions by Lira Clinical. Resurfacing Solutions (Lactic, Salicylic, Hydroxy) are blended with plant-derived stem cells, multiple peptide chains (which control irritation), potent antioxidants (which limit inflammation) and healing minerals. This solution combines Lactic, Mandelic, Kojic and Salicylic acids to target pigmentation, photodamage and dehydrated skin. It is safe for all skin types. This solution combines Salicylic acid and Retinol to target acne and pigmentation. This solution combines Glycolic and Lactic acids and Retinol to target fine lines and wrinkles, uneven texture, pigmentation and overall age management. While every patient’s experience is different, for most, the newly produced collagen and elastin lifts, tightens and rejuvenates the skin, reducing fine lines and wrinkles and minimizing pore size, resulting in a more youthful appearance. Regular micro-needling treatments spaced over a period of time may also improve the appearance of scars (such as those caused by acne or injury) and stretch marks. Your skin’s recovery time after micro-needling therapy is significantly shorter than the typical recovery time needed after other collagen-inducing treatments such as laser resurfacing. In addition to this, the cost of micro-needling treatments combined with Resurfacing Solutions treatments, is much less than a laser package with estimated treatments at about $200 compared to $1,000 for a basic laser package. IMPROVE YOUR SKIN’S YOUTHFUL APPEARANCE WITH MICRO-NEEDLING. Did you know you can use Care Credit financing to pay for cosmetic dermatology services at Vita? Stay in Touch to Learn About Monthly Specials at Vita. 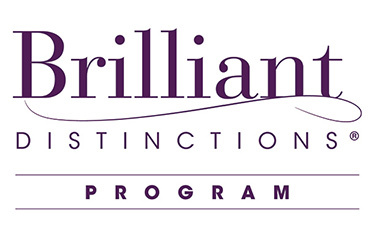 We are proud to be a designated Brilliant Distinctions® provider! 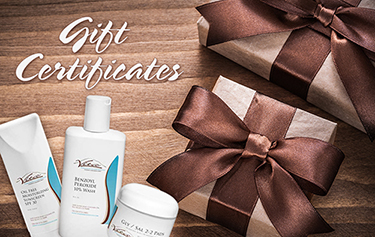 By registering with the Brilliant Distinctions® Program, you will earn points for the cosmetic services you already use, including BOTOX® Cosmetic, JUVÉDERM® XC and JUVÉDERM® VOLUMA XC treatments.